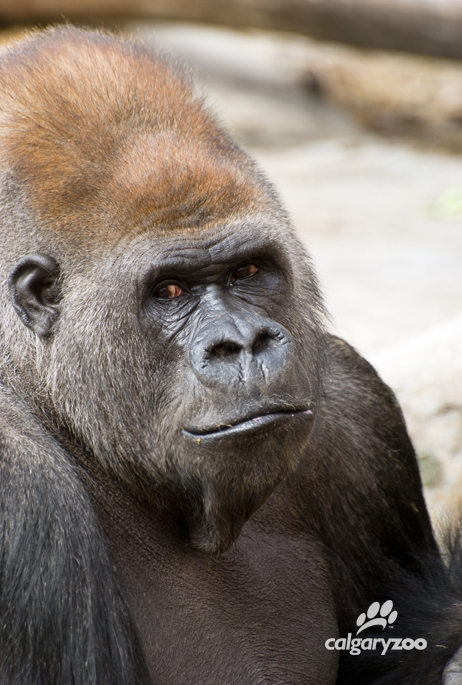 We are deeply saddened to share that silverback gorilla, Kakinga, passed away Saturday night at the age of 37. Often called the zoo’s gentle giant, Kakinga was an exceptional silverback; a kind, loving, protective and diligent leader. Our Veterinary team has determined he died as a result of developing a large tear in his aorta which caused the sac around his heart to become filled with blood and ultimately stopped his heart. This is one of the well-recognized causes of mortality in gorillas, especially males. 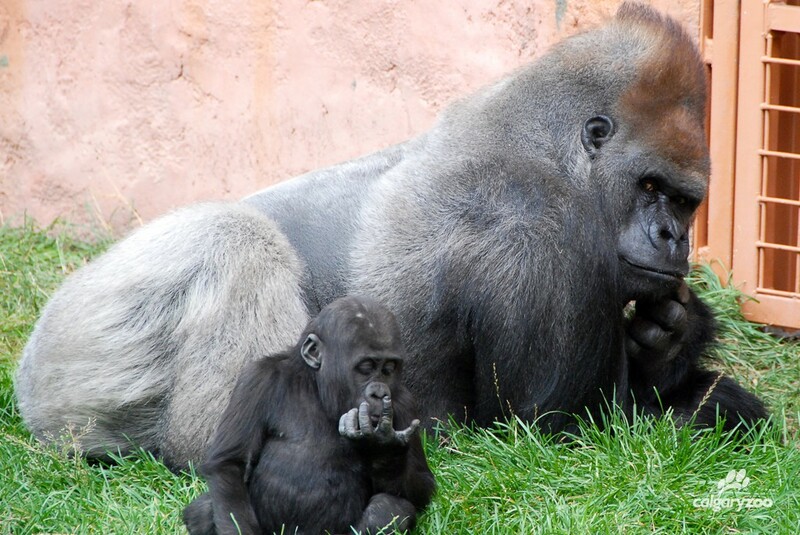 Kakinga was born December 1, 1978 at the Jersey Zoo in the United Kingdom and arrived at the Calgary Zoo in 1984. After nine years, he transitioned into the role of silverback, or leader of the troop in 1993, a role he held for the past 23 years. During his time as silverback, he fathered 13 offspring, eight of which are surviving with the most recent being born just this past March at our zoo. Of those eight, five are males and three are females. But Kakinga is known for more than just his impressive genetics. His calm and gentle natured endeared him to all zoo staff who cared for him. He was very involved in his role as leader of the troop, acting as a peacekeeper, a protector and in some very tender moments, a father. To those guests who spent many visits and much time watching the troop interact, Kakinga was always present, larger than life. Many placed their hands on the glass measuring their hands to his, marveling at his size and strength and the shiny cascade of silver hair that gave him his distinct markings. The zoo’s silverback had a steely gaze, but had moments of tenderness and could be quite gentle. Kakinga was one of the zoo’s most beloved animals and he will be dearly missed by all who came to know the gentle giant. For those who wish to express their condolences, we kindly as that you look to recycle an old cell phone. By taking this small action, you are helping to protect wild gorilla habitat, so that other silverbacks, like Kakinga, have a place to call home.